More Photos of Our Apartment! The living room. Kinda bare, but it has a balcony. 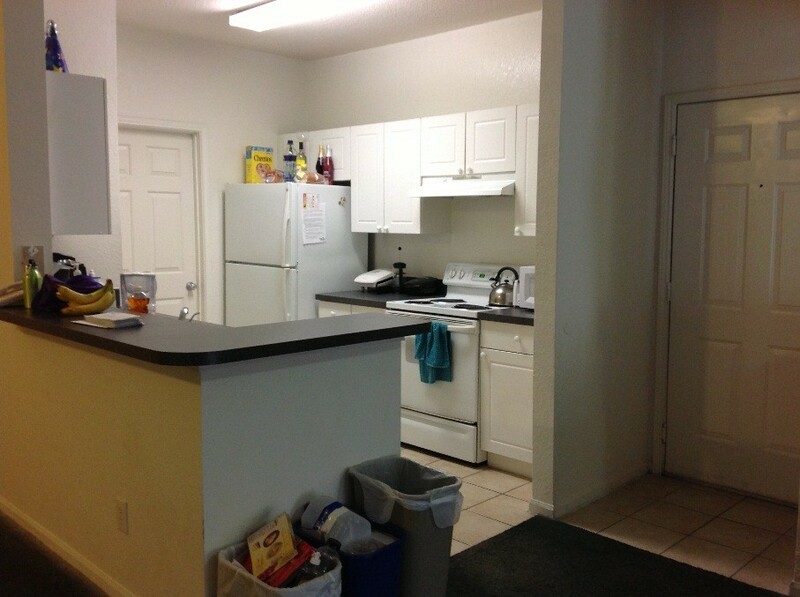 Out kitchen area. The dining room alcove is across from it with table and chairs to seat 6. 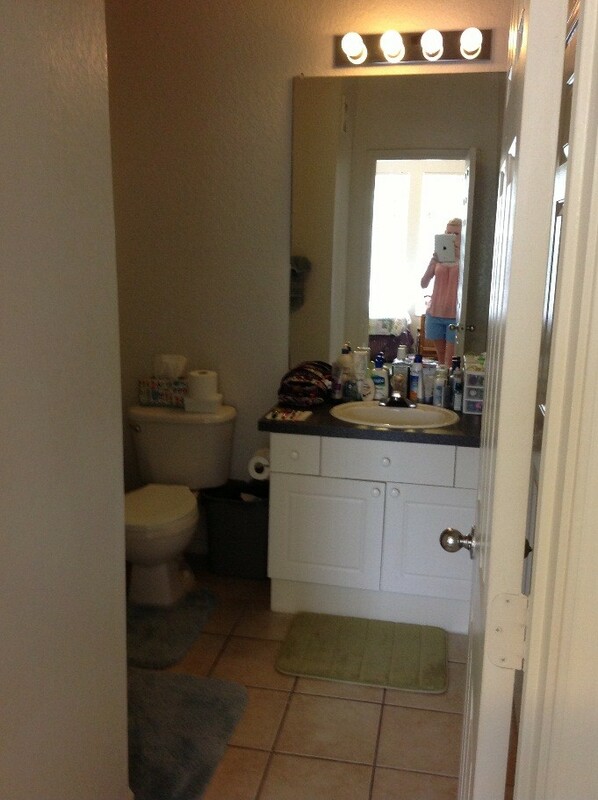 Our private bathroom with shower. With a little help from mom and dad, we got everything put away and the apartment cleaned and decorated the first week we were here. They inspect the apartment every 4-6 weeks for violations (like candles, pets, etc.). There is a notice board of upcoming apartment building inspections out by the check-in point for the complex. More photos of our room can be found here. 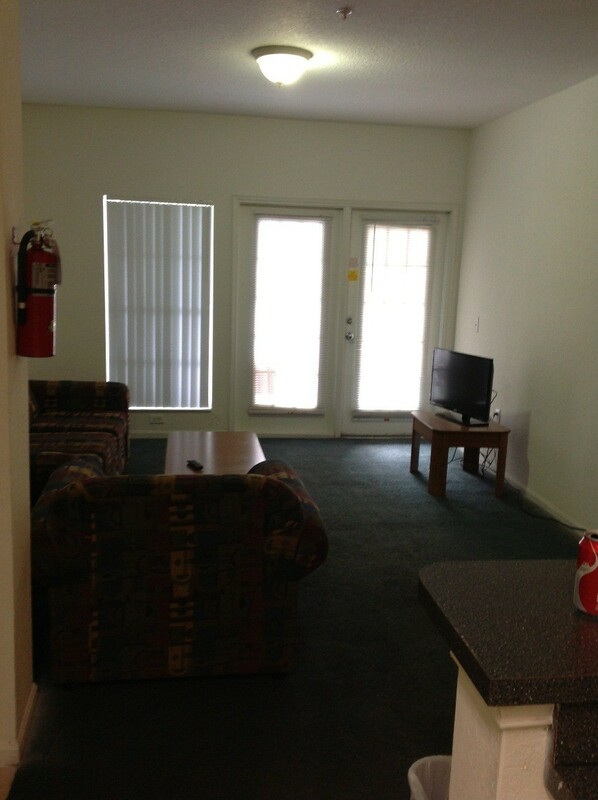 We like our apartment a lot! We know our work schedules 2 weeks out. Halloween – Visitors Are Coming! Dad, Christian, Nathan, and Ian are coming for Halloween and staying for a long weekend! I’ve been here for almost exactly one month and I’ve already received three! 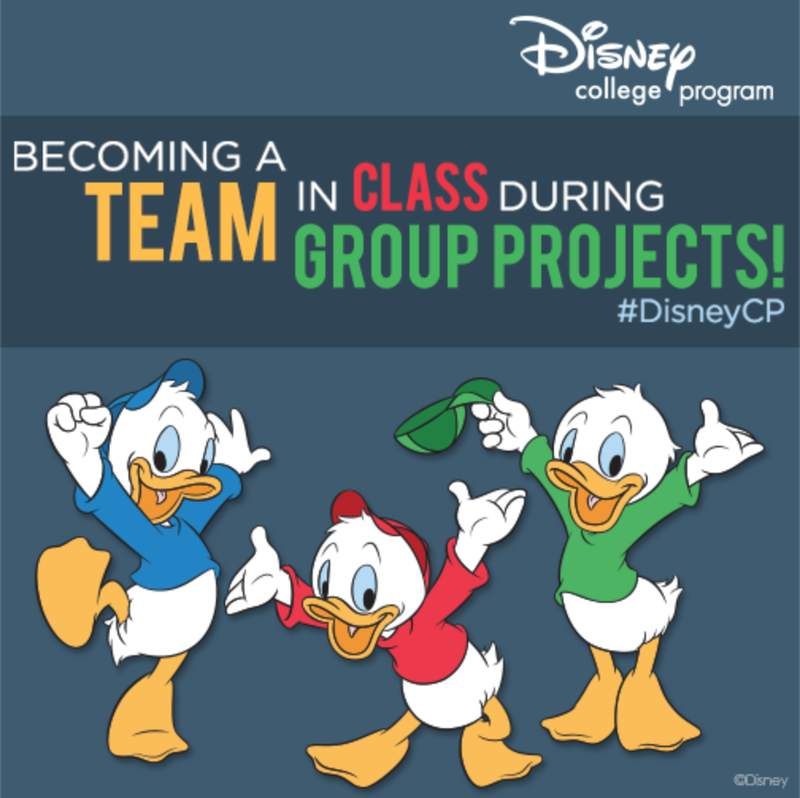 DCP Classes Start in 3 Weeks!!! We look forward to seeing you in the classroom soon! EPCOT: What Does It Mean??? Tagged Caroline Collins, caroline collins blog, Caroline Collins disney blog, Cast member, DCP, Disney, Disney College Program, elly collins blog, Elly Collins Disney blog, Epcot, Walt Disney World, What does Epcot stand for?